Project Room SCCA is interdisciplinary and multimedia space, which comprises a reference library, the audio-video archive DIVA Station and a digital video editing and projection unit. 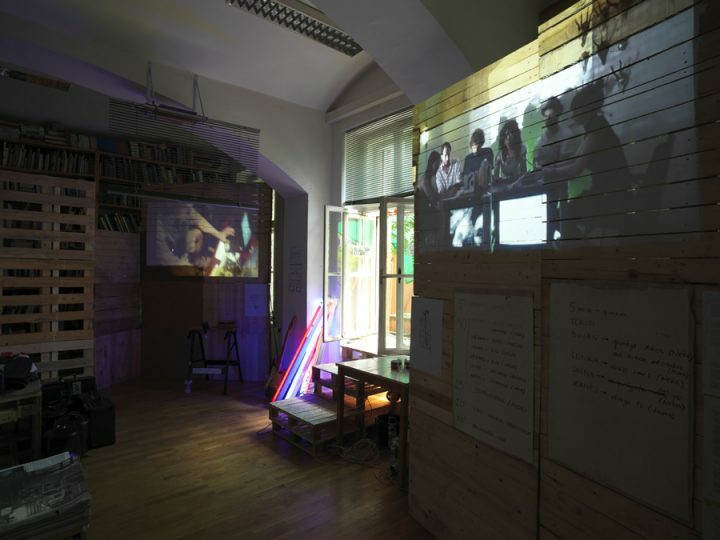 But most importantly, the Project Room SCCA has become a common venue for meetings, workshops, conversation, presentations, exhibitions and performances. It is located at Metelkova 6 in ACC Metelkova City in Ljubljana in Slovenia. Project Room SCCA is available for organisations, groups and individuals and can be used as a meeting place, for workshops and lectures. It can host up to 30 persons. We offer a discount to non-profit producers and for non-commercial purposes.